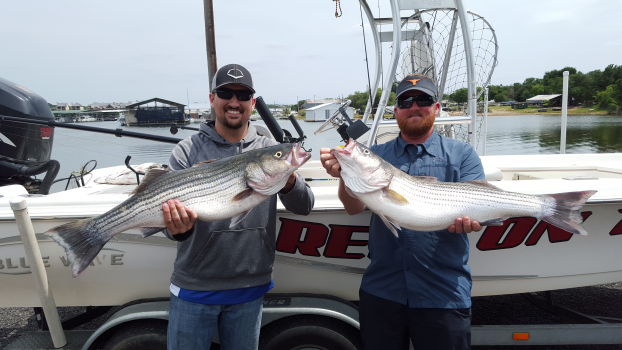 Book your guided fishing trip on Possum Kingdom Lake with REEL ON THIS Fishing Guide Service. Contact Brent at 940-452-3506. $300.00 1 or 2 people. 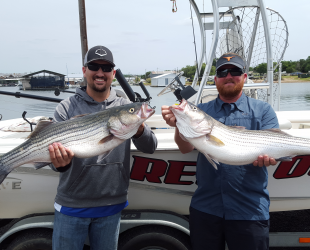 5 to 6 hours of fishing. 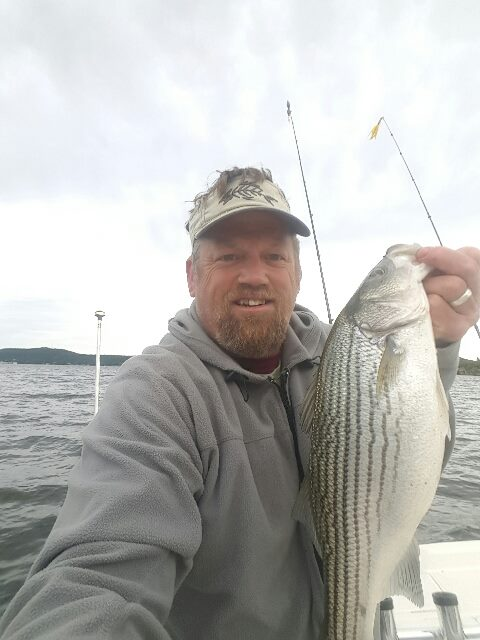 All trophy fish take quick picture and release back. All fish are filleted and bagged at end of trip. Brent has been on PK Lake his entire life. He aims to make sure you have a great time on the lake. 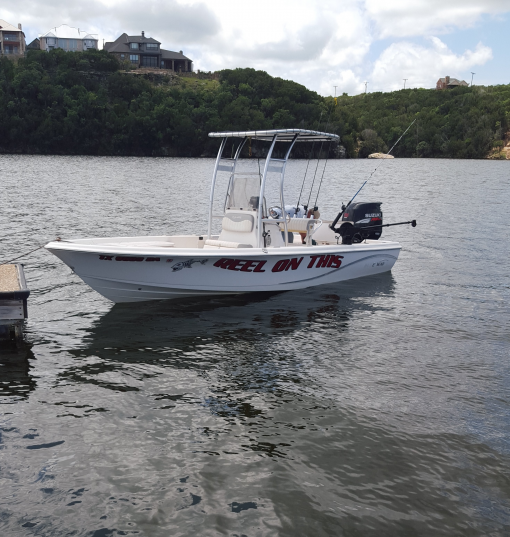 You will go out in his Bluewave Purebay center console boat, loaded with 6 down riggers, top of the line fishing poles and tackle, and shaded top. 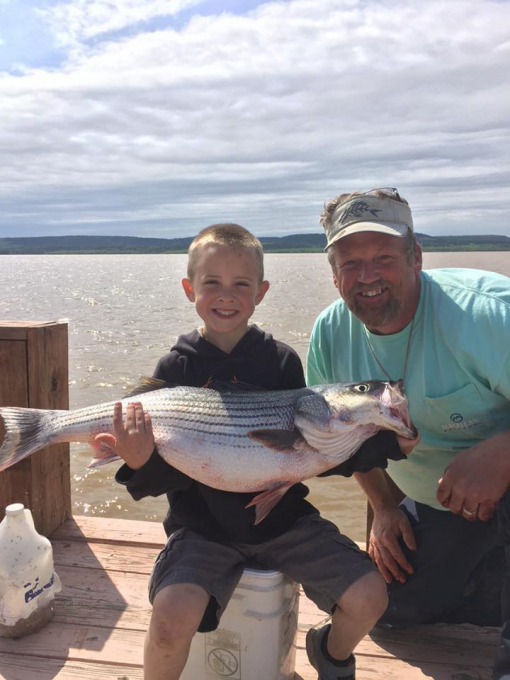 Brent welcomes anglers of all ages! He's great with kids, as he is a family man who has been married for 28 years and has 3 children and 3 grandchildren of his own. His kids always say their friends want to adopt him as their dad. 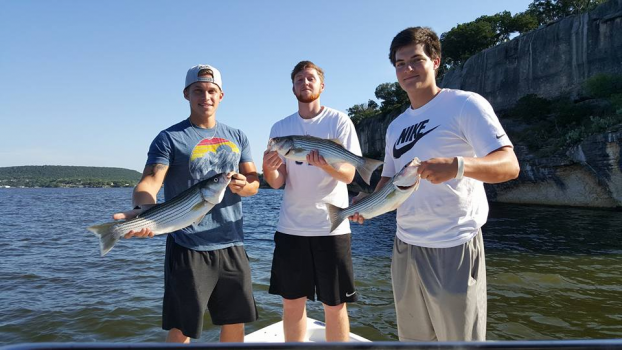 Striper guide fishing is a relaxed, yet fun way to fish. 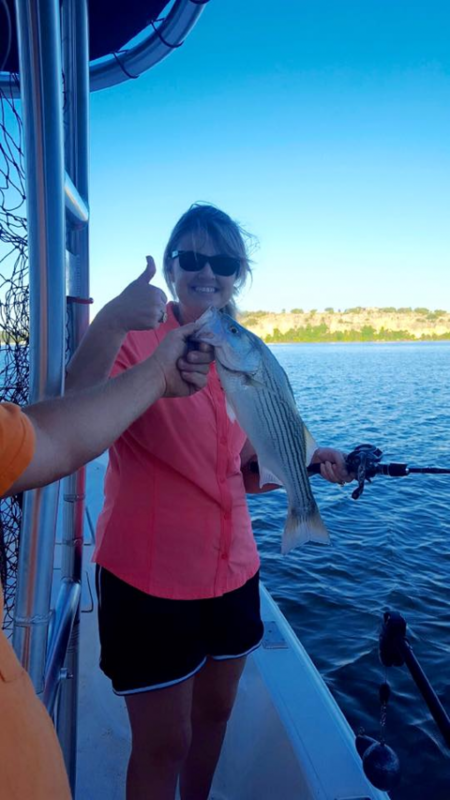 He does most of the work, while you reel in the big ones!